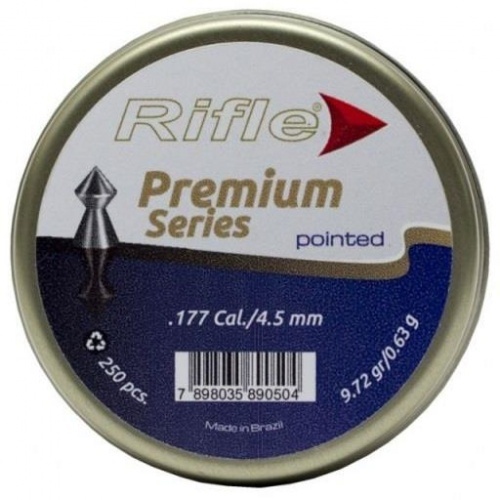 The Premium Series from Rifle are their ultimate range of pellets and combine years of research to make some of the most consistent pellets that money can buy. These Pointed pellets are fantastically shaped with thick skirts to ensure consistency in both pellets shape and shooting performance. They are superbly shaped for deep and effective penetration.